While celebrating 10 years and $46 million raised through the Go Red for Women initiative, the American Heart Association and Macy's are working to save more lives. 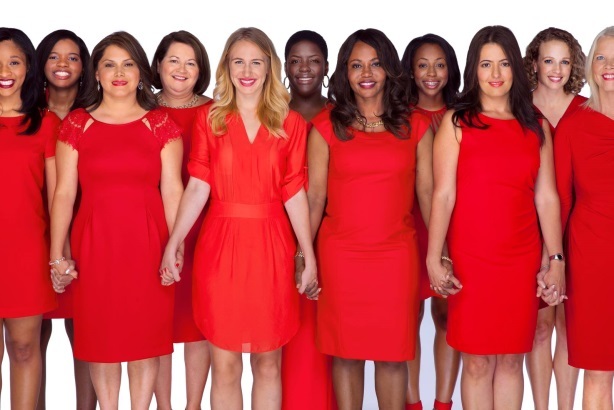 While celebrating 10 years and $46 million raised through the Go Red for Women initiative, the American Heart Association and Macy’s are working to save more lives. Heart disease is the number one killer of women, though many were unaware of that fact in the early days of the Go Red campaign. The American Heart Association’s goal is to increase the overall cardiovascular health of Americans by 20% while reducing deaths from cardiovascular disease and stroke by the same number by 2020, said Nancy Brown, the organization’s chief executive. In the beginning, it "took us a while to ramp up and get research done," said Martine Reardon, Macy’s CMO, noting that more than 627,000 lives have been saved thanks to the campaign and she hopes to see that number "dramatically increase" in the coming years, even double. Macy’s handles all PR in-house, while the American Heart Association works with its AOR, Edelman, which also supports the work of internal communications staff doing grassroots efforts. A big part of the campaign has been in-store promotion, selling Go Red’s dress pin in Macy’s for $2 and offering customers in-store savings passes if they wear red into the store on certain days in February. Proceeds benefit AHA and go towards research, said Reardon. Social media has also played an important role in the campaign. Macy’s has 14 million fans on Facebook, and in addition to using their own channels, Brown writes a weekly column for The Huffington Post. She said Macy’s has proven to be the partner her organization wanted to help it raise visibility of the issue because the brand resonates with women. "This is where women become activists for their own health. Real social change happens when people feel ownership of something," said Brown. Looking forward, Go Red plans to introduce more celebrity supporters of the cause. Like Macy’s, a well-known voice can capture the attention of a consumer on an issue that women might not otherwise realize is so important. Outreach to minority populations will also increase – AHA has created a multicultural fund, said Brown, as it promotes "not just healthier women, but a healthier family" across the board.